← Special Guest Loretta Yopp! Psalms 7-8! I love community in the body of Christ. I so wish we could all pile up in my living room and dive in together. But until then, let’s share our hearts here! Ready for a look into Psalms 11-12? ❤ 4-5, 7: “The Lord is in his holy temple, the Lord is on his heavenly throne.” No matter how heavy and jagged those stones are, God is still in control and He is a first-hand witness to our struggles. It says He examines us. He knows us. 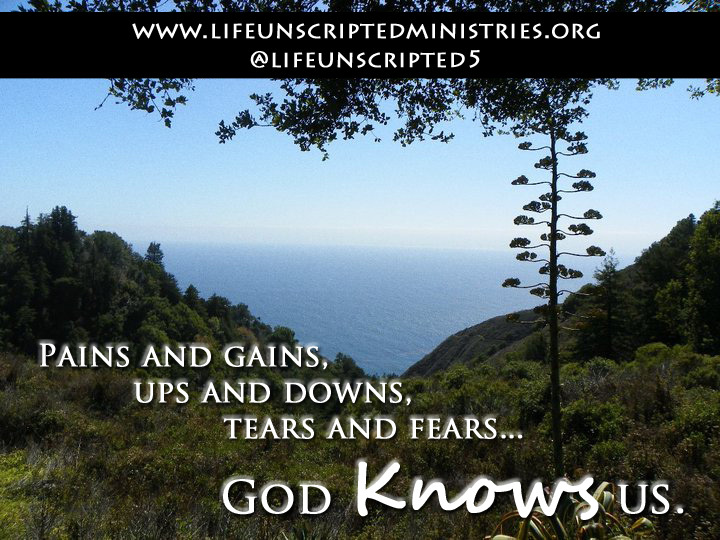 Pains and gains, ups and downs, tears and fears; He holds our every moment in the palm of His hand. Don’t think He doesn’t see your injustice. Verse 7 definitely gives us security – “upright men will see his face.” The things we are facing now won’t even hold water compared to seeing our Savior face to face. We have hope! Just hold on! ❤ Vs. 1-4,8: We live in such a crooked, perverse world. It’s a mess to say the least. Our kids desperately need to be reminded that even though we do live in this world, we are not of this world. As verse 8 says, the wicked seem to proudly strut what is vile and immoral. It’s not easy being a Christian in a world that seems to despise the very mention of the name of Jesus. If someone told you it would be a cake walk once you began your relationship with Jesus, I’m sorry but you’ve been sadly misled. We must do all we can to live holy lives and abstain from worldly lusts and desires. There’s just some things we need to have no part in. Know what I mean? ❤ Vs. 6: I can’t shake this verse today. I’ve read it, reread it and read it again. 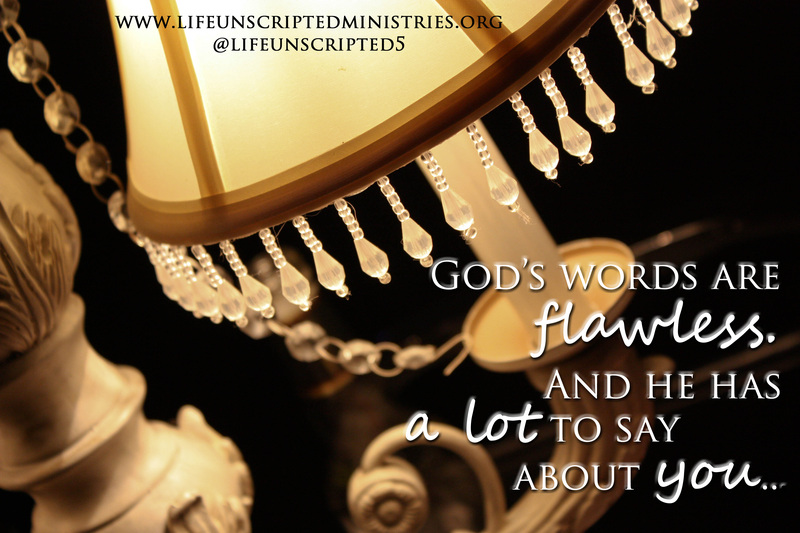 “The words of the Lord are flawless..” Y’all know I like to define words to go beyond the surface meaning. According to Google, flawless is defined as “without blemishes or imperfections; perfect.” God’s words are without blemishes. Perfect. The promises He has made you. The affirmation He has given you. The answers to your heartfelt prayers. Those times when God speaks quietly to our hearts, baby those words are flawless. And He has a lot to say about you. Hang on to those words. Write them down. Share them. There’s nothing like hearing sweet perfection from the lips of our Savior. I would love to hear your thoughts below! What is something that spoke to you today? Don’t miss tomorrow’s post! We will have special guest, Deborah Yeorg, from Crowns for Christ Ministries with us sharing her insight on chapters 13-14! You can find more about her ministry here on her Facebook page! Posted on January 7, 2015, in Bible Studies and tagged bible, bible study, encouragement, Psalms. Bookmark the permalink. Leave a comment.